Award-winning writer/director Max Currie finds an unlikely compassion for characters most of us would write off as monsters. “I’m fascinated by good people doing bad things,” says Max of his work. And this is certainly true of his delicately immoral, directorial debut, Everything We Loved. Since 2008, Max has written for New Zealand's number-one-rated, prime-time serial drama, Shortland Street, and more recently, the comedy-drama Step Dave. In 2012 he participated in Melbourne Film Festival's Accelerator director's programme. Max is a Berlinale Talent 2014, and the recipient of a 2014 Goethe scholarship to further his love of all things German. He lives in Auckland, New Zealand. 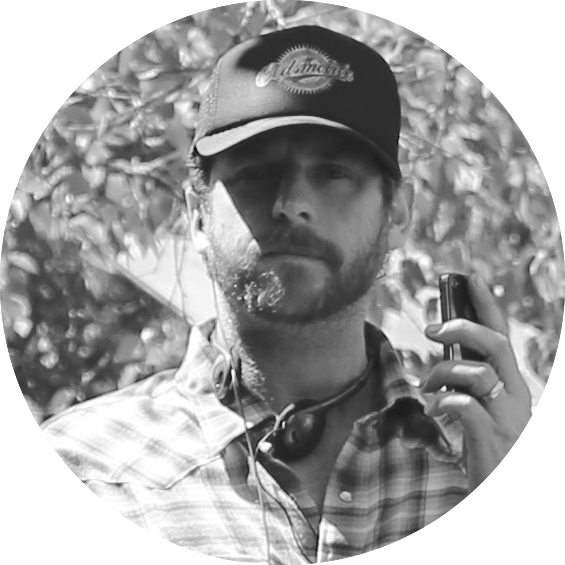 Tom is a passionate, creative-producer who loves cinema. Starting his career in the screen industry as an actor on various TV productions, Hern eventually followed his yearning to tell stories that he believed in, and in 2007 co-founded production company, Six String Pictures, with his old acting buddy (turned writer-director), James Napier Robertson. Together the pair independently developed, financed and produced their debut feature, the micro-budget, whodunnit thriller, I'm Not Harry Jenson . INHJ was released theatrically in New Zealand to strong reviews, off the back of sell out screenings at the New Zealand International Film Festival, and went on to play at a number of other fests (including the Shanghai International Film Festival). In 2010 Hern co-founded Four Knights Film Ltd, again with Napier Robertson, and Australasian entrepreneurs, Tim and Sasha Wood. That year, Hern produced a short film, entitled Lambs, written and directed by Sam Kelly, which played at a number of prestigous international film festivals including Clermont Ferrand, Berlin, Melbourne and Raindance, and won the Madman Grand Jury Prize and the People's Choice Award at the New Zealand International Film Festival in 2012. 2013 was been a huge year for Hern and Four Knights' - along with completing post on Everything We Loved, Tom also wrapped on Genesis (formerly entitled The Dark Horse), a drama inspired by the colourful life of bipolar suffering-Maori-speed-chess-genius, Genesis Potini. The film is directed by James Napier Robertson (I'm Not Harry Jenson) and stars Cliff Curtis (Three Kings, Training Day, River Queen) and James Rolleston (Boy). Born into a theatrical family, Luke spent his early years touring New Zealand with the father of New Zealand theatre, Bruce Mason (who was also Luke's grandfather). Luke started working in film and television at the age of seven as a child actor. In the thirty-one years that have followed Luke has worked as an assistant director, director, producer, editor and camera operator on everything from high budget American television series (Legend of the Seeker, Spartacus) to low-mid budget New Zealand features (I'm Not Harry Jenson, Genesis) and no budget docos and music clips. In 2012 Luke was 1st Assistant Director on the much anticipated feature film horror remake Evil Dead, that went on to be a number one box office smash in America. He is passionate about telling good stories and creating winning collaborative combinations.